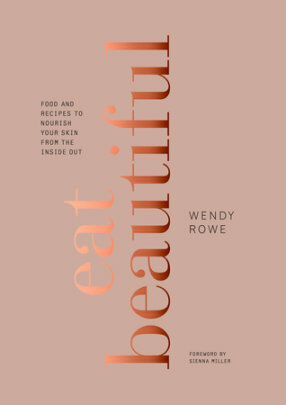 Since we are eating healthier with our bowls and we seem to be turning over a new leaf, I jumped at the chance to request Eat Beautiful by Wendy Rowe for my latest Blogging for Books post. The first part of the book, “Beauty and Food,” discusses the importance of everything from Good Digestion to Intermittent Fasting. Along with the narrative are tips like how to battle indigestion by chewing anise, cardamom and fennel seeds and how to “mindfully” eat—sit at a table; don’t get distracted with phone calls; chew each morsel 40 times. Rowe also lists “Beauty betrayers” (refined sugar, white bread, fizzy drinks, etc.) and “Food Saviors” (fresh produce, water, etc.). Foods are listed by the season in alphabetical order with descriptions of their beauty value and use. Then come the recipes utilizing lots of leafy greens, fresh fruit, and whole grains. This is not a vegetarian book and there are lots of recipes for fish and chicken. I would say the bulk of the recipes are salads; however, dessert is not ignored. 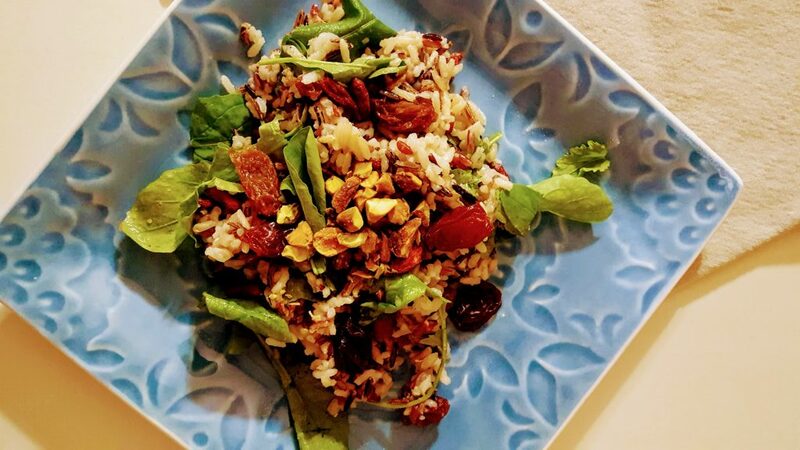 I had to make that Wild Rice Salad (even though it was listed as one of the Summer dishes). Prepare each rice according to package instructions. Set aside to cool. Toast the pistachios in a small skillet over medium heat for 2-3 minutes, tossing frequently so that they don’t burn. Remove and lightly crush. 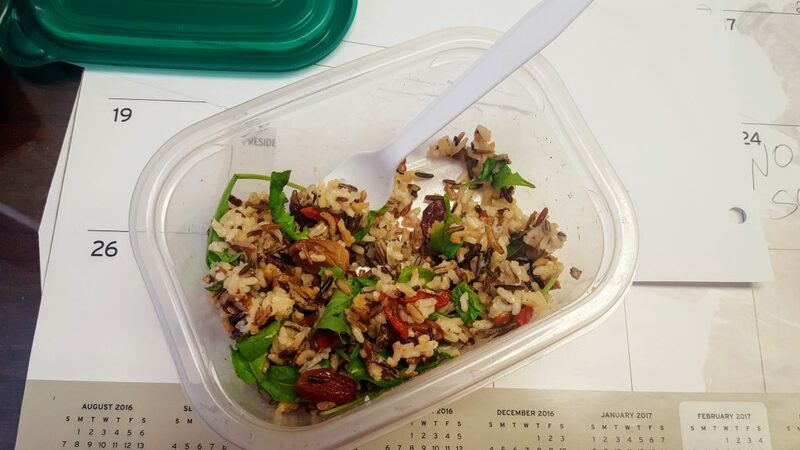 Place the rice in a serving bowl, add the lemon juice, mint, arugula, garlic and dried fruit, and toss to combine. Drizzle with olive oil, then season and sprinkle the toasted nuts over the top. *This is Rowe’s recipe pretty much verbatim, but when I made the recipe for us, I used a whole garlic clove and 3 T. of lemon juice. I also bought pre-roasted pistachios so I skipped the toasting step. The photo of this salad in the book is beautiful and it looks like both golden raisins and goji berries were used. In my opinion, the extra lemon juice and garlic is much needed. This salad was a welcome change to all the rice bowls we have been eating. This Eat Beautiful recipe may be my new favorite. It actually gets better the longer it sets. 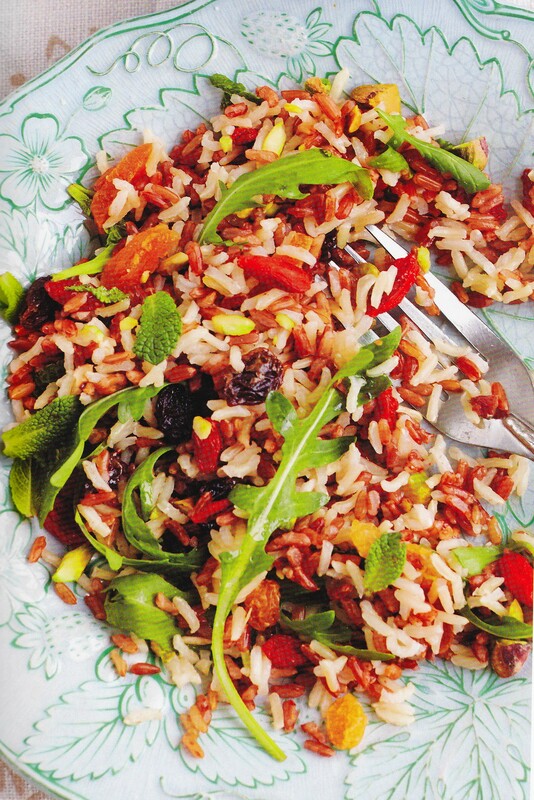 This salad can be made ahead; simply mix the rice, lemon juice, garlic and dried fruit. Then, add the arugula and the pistachios right before serving. If packing this for lunches, just put the arugula and pistachios in separate compartments and mix it all up before eating. Lunch at my desk. Leftovers are delicious! One more thing about Rowe’s recipes. A lot of them serve two. That is the perfect amount for us as we make our bowls and limit portions. This book is perfect for anyone who wants to eat healthier. We are going to give Eat Beautiful to our Goddaughter for her birthday. She has already started some healthy eating habits and I want to help influence her in that continued direction. I received a complimentary book from Blogging for Books for this review. All opinions, exclamations, gushings and rants are my own. Look wonderful ! Love this salad ! Thanks. It’s on the “make again” list. Very delicious and I love that it’s made with just a couple of ingredients. I love the simple lemon and garlic dressing. I love the combination of ingredients, the whole thing sounds wonderful! Yes, Ma’am! This is a good mix! Boy, this sounds delicious with all the fabulous textures and flavors!! Thanks. It really is better the next day! I have a friend who doesn’t like raw tomatoes or cucumber, but does love salads. Her home is often where spontaneous dinners and potlucks happen. Not only does she love salad, but she ones one with every dinner. Sooooo this has had the outfall of pushing me to think more outside the box when I am tasked to bring a salad, which I often am. This baby is a winner. Plus it is visually soooo appetizing! I do love it when we go out to eat and have conventional salads, then I get all her tomatoes and cucumbers. Ha! Your salad looks delicious (love the combination of flavors) and the book sounds good too. What a great find! I love this salad and I just happen to have everything but the arugula. That’s easily solved with a quick trip to the co-op. Thanks for sharing this because it’s definitely a keeper! I do like this one, M.J. I think spinach would work as well in it. It is true that we eat with our eyes first. This is as delicious as it is beautiful (and simple)! What a beautiful looking salad, and I’m sure it tastes just as good as it looks!